OCast alba comestio, manjar blanch, Ar. isfīdhabāj, Fr. blanc-manger, blanc mengiere, boudin blanc de volaille, ME. blanc (white) + manger, blawmanger, blanc, blank, Eng. blancmange, white dish. The name is adapted in English and Spanish from French meaning “white eating.” It was recommended for the sick. Although the basic ingredients, almond milk, rice and sugar, came to Europe through the Arabs, Perry suspects that only the name can be attributed to the Arabs, however, the recipe for “Harisa de Arroz” is very similar to Sent Soví and Nola’s recipes for blancmange except that it is baked. Calero maintains that it originated in Provence. Two recipes for it appeared in Sent Soví. Cervantes indicates that Sancho Panza loved it. In England, Chaucer claims the Cook in Canterbury Tales made the best. Hiatt believes the recipes in Form of Curye are similar to Apicius recipe “Cibarium Album”, an almond based sweet sauce. When chunks of boneless breasts of boiled hens were added, it was eaten as an entree. The hen was boiled in water until the meat fell apart when shredded. To this almond milk, cinnamon and sugar were added. The result was a very sweet white puree. 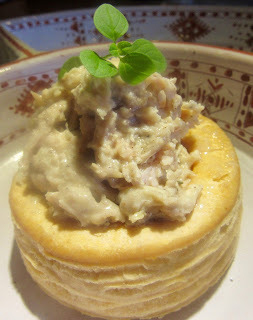 Sometimes it is defined as creamed chicken or chicken pudding. It was a popular Lenten dish made with cod or pike. According to Nola, the best dishes of gourmet cuisine were Salsa de pauo (Peacock Sauce), which he considered a dish in itself, Mirrauste (Half Roast) and Manjar blanco (Blancmange). See harisa. Singe the skin of a chicken and wash it. Cook it in three liters of water and the onion. When done remove the chicken from the broth and lit it cool. Remove the meat from the bones. It is best to use only the breast without skin and bones. Put this in a deep pan and sprinkle it with rose water and sugar. Reduce the broth to one liter. If greasy, remove a little. Add the almond milk and boil gently. Stir continually with a wooden spoon. Little by little add the flour stir until the sauce is thick. Add the chicken. Let cook 8-10 minutes, stirring constantly. If a thinner mixture is desired, add more broth. If a sweet dish is desired add more super. Also rose water can be added if a more aromatic dish is desired. 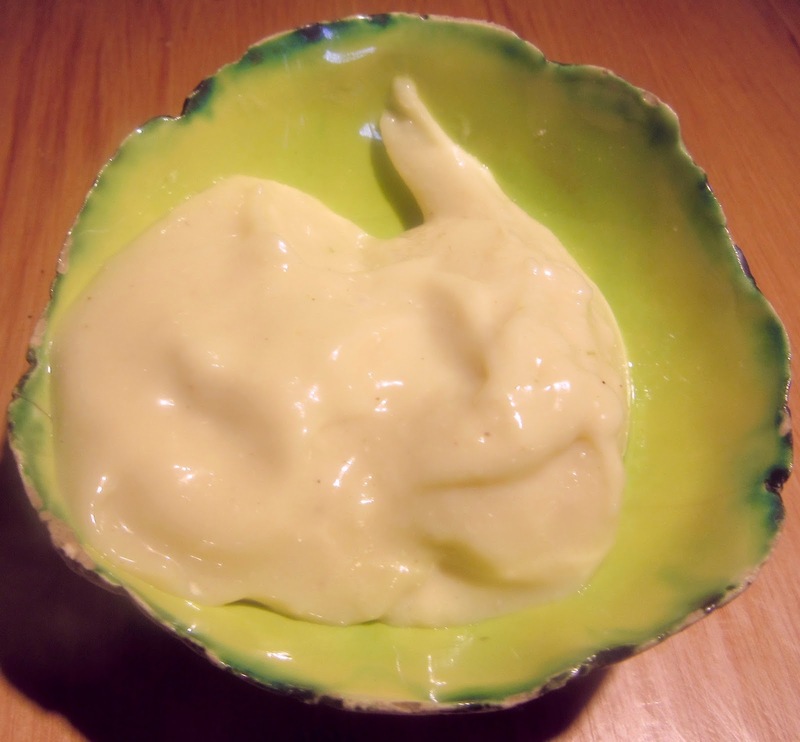 The consistency should be that of a thick cream as it is a dish eaten with a spoon and it is not a sauce. In some recipes the word brequet (brazier) appears. This term was explained when describing instruments and techniques of the times, before beginning this recipe and upon finished it. 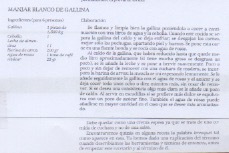 Found in La Cocina Medieval, Manjar Blanco de Gallina p 73-74. 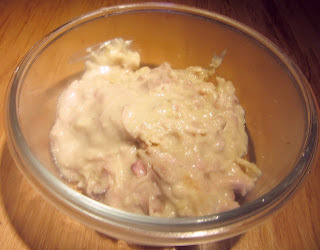 For other Blancmange recipes from Sent Soví see blog titled color published May 10, 2013. For Nola’s Blancmange recipes see blogs titled azumbre published January 27, 2012, breca published April 20, 2012, cuasimedio published October 2, 2013, cuezo published November 11, 2013 and decaído published December 2, 2013. See blog titled bresquet published April 24, 2012.